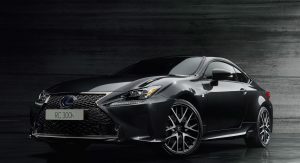 Lexus’ UK RC family will soon welcome a new member: the 300h F Sport Black Edition. 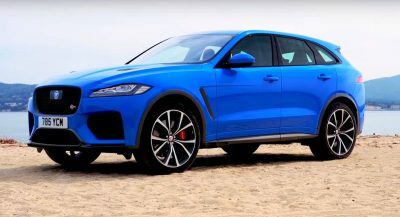 Scheduled to go on sale from May 1st, it is priced from £45,165 ($62,955), or £5,520 ($7,695) more than the 300h F Sport, and sports a stealthy look with new black styling elements inspired by the dense color of Japanese ‘sumi’. 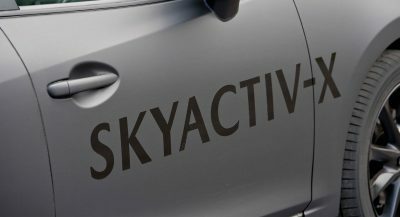 This is “used for centuries in traditional brush and painting calligraphy”, Lexus says, and it’s found on different parts of the exterior. The Graphite Black metallic paintwork, dark chrome finish on the motif mesh pattern, new circular LED fog lamps, black stainless steel window moldings and 19-inch wheels with matte black and bright machined finish set this special edition apart from the regular models. Opening the door reveals the F Sport seats upholstered in black leather, a leather-wrapped steering wheel, contrast orange stitching, orange detailing on the inner door panels, new wood trim inserts in a deep black color and black headlining. 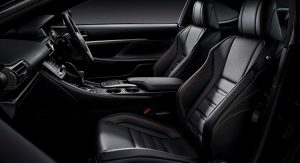 The new Lexus RC 300h F Sport Black Edition comes as standard with Mark Levinson premium sound system, a 10.3-inch infotainment system, electrically operated, heated and ventilated front seats, dual-zone climate control and a sunroof. 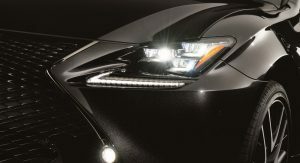 LED headlights, Blind Spot Monitor, Rear Cross Traffic Alert, reversing camera, Lexus Safety System+, rain-sensing wipers, and others, are also part of the luxury coupe’s equipment. 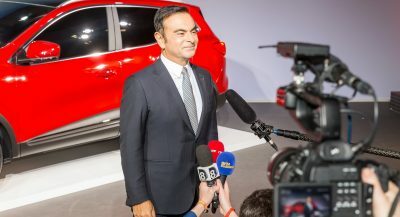 Powering the special edition car is a hybrid unit comprising a 2.5-liter petrol engine and an electric motor, which work together to generate a total output of 220 horsepower. 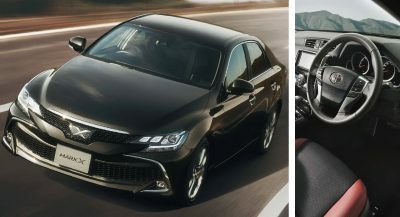 The RC 300h F Sport Black Edition will be on display at Lexus’ stand at the Geneva Motor Show, where it will be joined by the brand’s other vehicles, including the all-new UX premium subcompact crossover. Previous PostPrevious Can This 800 HP Escalade Outrun A Stock Camaro ZL1 1LE?